We are serious about two things at Lakeside Youth; connecting as a church family and owning a real relationship with Jesus. These two aspects of growth, we believe, are essential for continued growth to happen after the teen years. So what do we mean by each of these things? It doesn’t matter how much fun the games are, how loud the music is or how crazy the youth leaders are (all of which we could be accused guilty of) if there are no real connections being made. We are very intentional at building and connecting as a church family on three levels. Teen to Teen // We go out of our way help the teens understand what it means to love in a family (whether at home or at church). As long as Jesus is the One who brings us together, there is nothing greater that can break that bond. We encourage teens to live life together outside of youth group at school and at home by praying for one another and encouraging one another wherever they are. 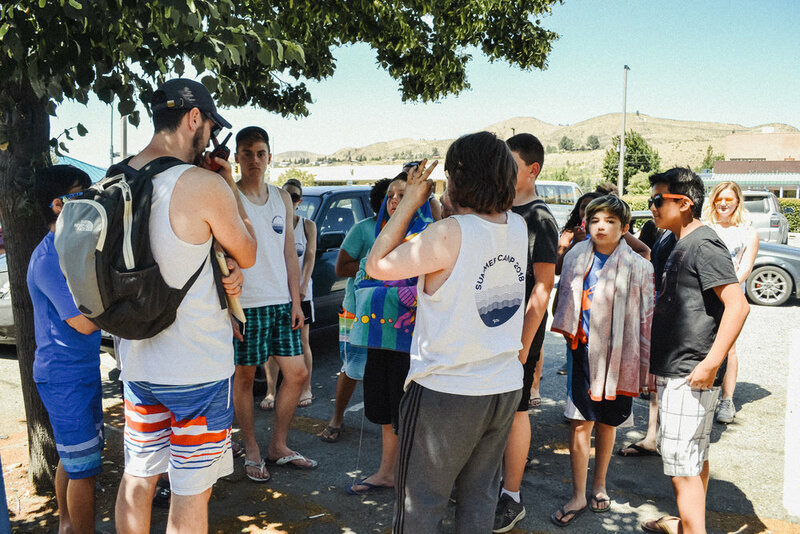 At Lakeside, teens connect with teens. Teen to Leader // Every leader who serves at Lakeside Youth is there because they love the teens and want to see the teens make their faith their own. We are very intentional about building a strong community through small groups and that all starts with our passionate and compassionate youth leaders. Anyone who is a part of Lakeside Youth will have a leader who prays for them, encourages them and is willing to be a mentor in their life. At Lakeside, teens connect with leaders. Second, we are always encouraging youth to make their faith their own. This means that before they graduate, they love and are following Jesus. They don’t do it because their parents do or because their youth leader does. They follow Jesus because they understand what God did for them and they wantto love Him back. So how do we help them make their faith their own? Let them be honest // We encourage teens to be very open and honest with their questions and faith. There is no shame in admitting a struggle or questions. Teens today are bombarded with “facts” and theories that seem to contradict their faith and we want to make sure the dialogue always stays open. Our small groups are a place were very real conversations happen. Challenge them // We don’t sugarcoat the Christian life. At Lakeside Youth, teens are going to hear about the great love God has for them and everyone around them, but they are also going to be challenged to live that out. Teens at Lakeside know they need to love peers at school when they don’t want to, they need to respect their parents when they don’t want to and they need to care for their siblings (even though they really don’t want to)! God’s grace is most clearly seen when He helps us do what we thought we couldn’t. We want our youth to know God’s grace and love, and that’s why we challenge them. Encourage them // At Lakeside, our youth receive encouragement! We want the youth to always know they are surrounded by a family who supports them and will be there for them. Teens may not always get it right, and that’s when they need encouragement most from their community; an encouragement that is filled with truth and love.